NEW YORK (JTA) — Think Expedia or Hotels.com or countless other vacation discount finders online, but instead to connect kids to Jewish camps. The Foundation for Jewish Camp announced Monday that it is piloting a new program this summer offering first-time campers from middle- and lower-income families camp sessions at prices that are 40-80 percent below the camps’ standard rates. Called BunkConnect, the program, in partnership with the Center for Entrepreneurial Jewish Philanthropy, will make available 1,100 discounted slots at 35 camps in the Northeast, New England and Mid-Atlantic regions. While only families from those regions are eligible to participate this summer, the FJC hopes to expand the program to Jewish families and camps throughout North America in future years. The Pew Research Center’s study on American Jews, released in early October, triggered much handwringing about the finding that 20 percent — referred to as “Jews of no religion” — see themselves as Jewish because of culture or ancestry, not because of any connection to the religion. 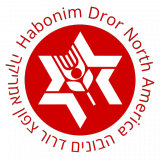 On the heels of that survey comes another about alumni of Habonim Dror North America (HDNA) that suggests such labels may not tell the whole story. Titled “Building Progressive Zionist Activists: The Long-term Impact of Habonim Dror,” the survey was carried out by Steven M. Cohen, a sociologist at Hebrew Union College-Jewish Institute of Religion, and Steven Fink, senior methodologist and analyst at Avar Consulting in Rockville, Md. The HDNA survey makes the case that HDNA alumni — many of whom self-identify as nonreligious Jews — are often involved in Jewish organizations, in many cases taking leadership roles, and that they’re also ardent supporters of Israel, boasting a very high rate of aliyah (immigration to Israel). Habonim and Dror, both founded many decades ago, are Jewish youth organizations that merged in the early 1980s. The resulting group, HDNA, manages children’s summer camps at seven North American sites as well as community activities all year in locations throughout the United States and Canada. It also runs a workshop program in which young adults spend a year in Israel. Read the entire article on the Jewish Journal Website. Amidst all the hand-wringing brought about by the Pew Study on Jewish Americans, a new study released this week reveals that fostering a progressive, critical-thinking culture among North American Jewish youth about Israel actually works to instill commitment to the Jewish homeland.